Here’s a list of Casey Golden’s speaking appearances, with the most recent (or upcoming) at the top. If you’d like to book Casey for a speaking engagement, please contact annie [at] smallact [dot] com. "Social Data Intelligence: What, Why and How"
"Direct Mail & Social Media: Strange Bedfellows or a Match Made in Heaven?" 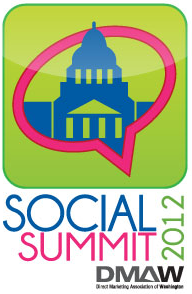 "Prospect Research - Diving Deeper With Social Data"
"Social Ecosystem vs. the World: Creating Impact with Social Data." "Creating Impact with Social Data: Identifying and Harnessing Advocates, Team Leaders, and Hidden VIP’s Using Social Media Data"
"Everybody’s Online: Let’s Go Prospecting"
"The Hills Are Alive…With Social Data" and "What is a Social Influencer REALLY Worth?"